We have made available a patch to update the VDA vans expansion for Train Simulator 2014 with the upgraded CAR brake van that will be included in the HBA/HEA Hoppers pack along with adding various versions of the vans and brake van with a battery flashing lamp. 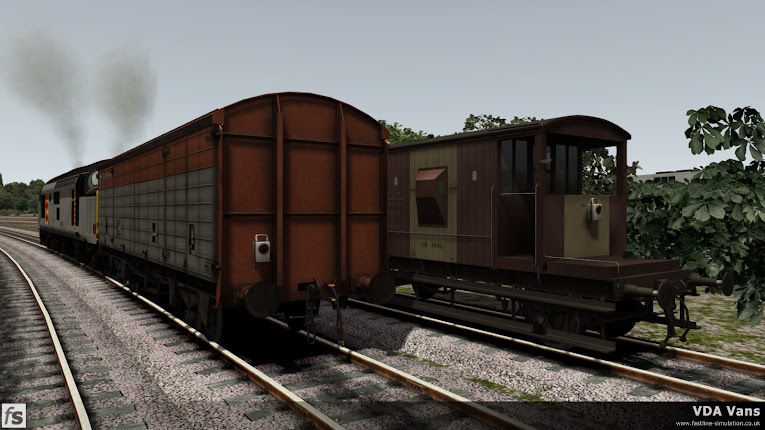 The patch updates an existing install of the VDA vans and CAR brake van with the new brake van shape and installs additional versions of the vans and brake van with a battery tail lamp along with an updated manual that includes information about the new versions included. This patch should be applied by all customers who have purchased and downloaded the VDA vans expansion before 07/12/2013, a new installer has been made available for those purchasing the VDA vans expansion from today which includes the updated files and they do not need to apply the patch. The patch can be obtained using the downloads link in the support section.